Living a Fit and Full Life: Conquer any Terrain with Best Choice Products Remote Control Off-Road Racing Rock Crawler Truck! 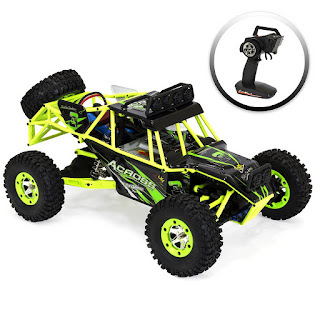 Conquer any Terrain with Best Choice Products Remote Control Off-Road Racing Rock Crawler Truck! Best Choice Products was founded in October of 2002. Our company began its course selling pool tables, eventually expanding into other categories such as musical instruments and patio furniture. Now Best Choice Products has a wide range of products that fulfill all of our customers’ needs from children items, pet products, to everyday household items and much more. Not only can you find our products on our own website, but also on marketplaces such as eBay, Amazon, Rakuten, Newegg, and Sears. Best Choice Products strives to have the best products at the lowest prices. Sand? No problem. Mud and snow? No sweat. Rocks? Don’t even worry about it. 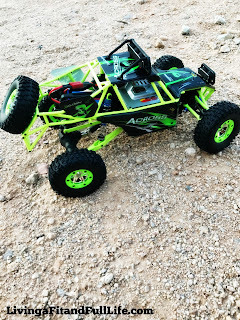 This remote controlled off-road racing car is ready to conquer any terrain at any time. 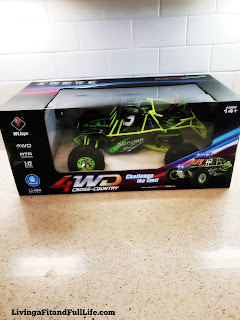 Boasting an independent suspension frame system, a waterproof body, and bright LED lights, this 1:12 scale RC car is ready to get to racing, no matter what. Conquer any terrain with Best Choice Products Remote Control Off-Road Racing Rock Crawler Truck! This Remote Control Off-Road Racing Rock Crawler Truck is extremely well made and literally climbs over just about anything. It has an independent suspension frame system, a waterproof body, and bright LED lights so it can even be used at night. The Set includes car, charger, remote and even a spare tire! It's Recommended for ages 14+ and would make a terrific gift. Best Choice Products Remote Control Off-Road Racing Rock Crawler Truck is tough and handles crashes like a pro. Best Choice Products Remote Control Off-Road Racing Rock Crawler Truck is easy to maneuver and extremely fun to control. The remote feels extremely comfortable to use and fits in my hand just perfect. Best Choice Products Remote Control Off-Road Racing Rock Crawler Truck is amazingly fun and will surely provide hours upon hours of fun. Best Choice Products Remote Control Off-Road Racing Rock Crawler Truck is an amazing RC off-road racer car! You can purchase on Best Choice Products and Sears! Click HERE to learn more about Best Choice Products! Follow Best Choice Products on social media!